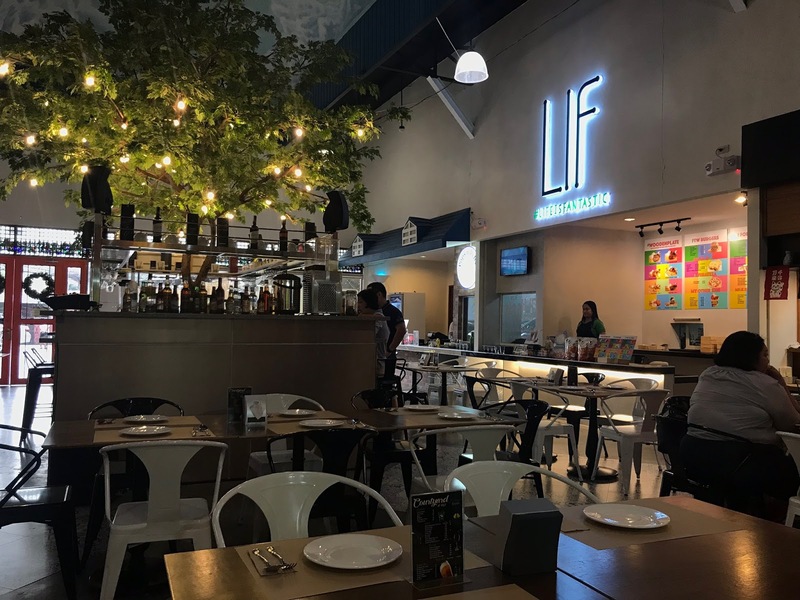 Courtyard 453 is the newest food destination at Greenhills, San Juan. The name came from the concept "Food Courtyard" where you can take a gastronomic adventure with 5 different cuisines all in the same venue. 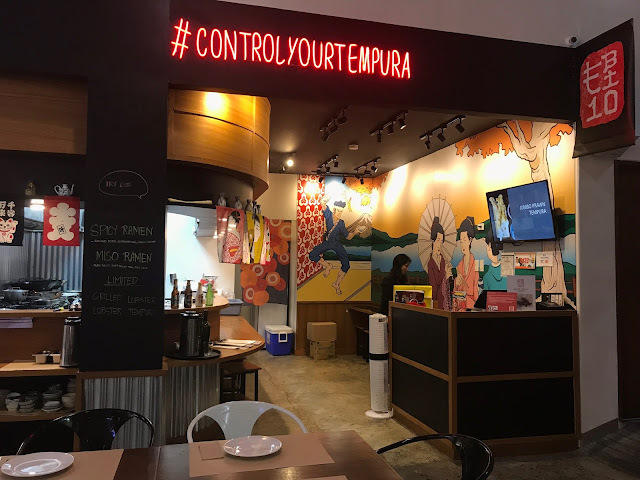 It is an upscale version of a food hall or food park and involves a pay-as-you-order system, but they have waiters ready to assist you to your tables. 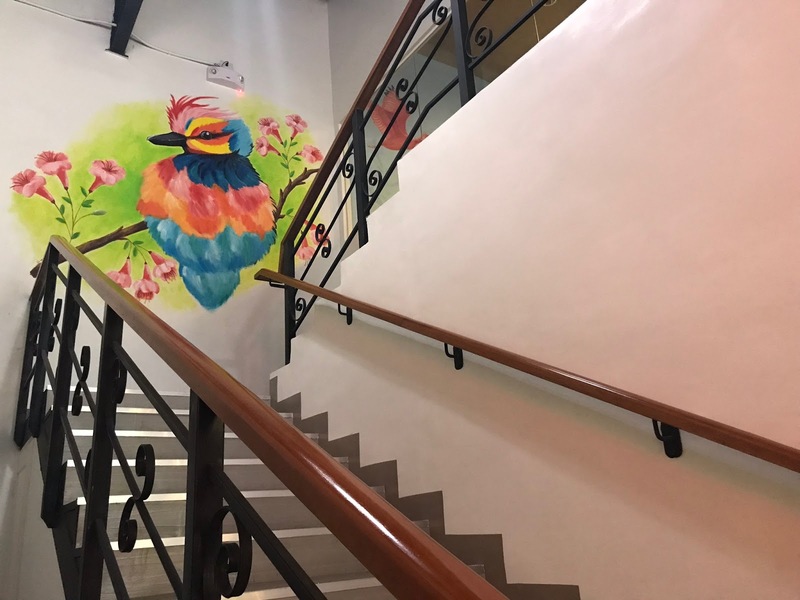 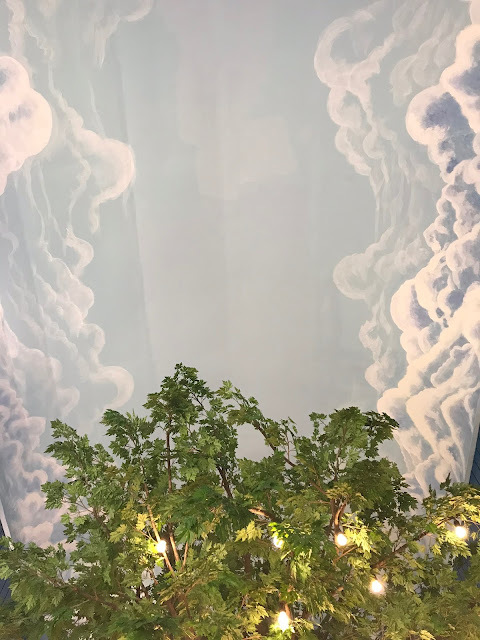 Courtyard 453 has a cozy, relaxing ambiance, with a high ceiling where you can look up and appreciate the beautiful sky mural painting by DLSU students, and admire the huge tree with dangling light bulbs in the middle of the venue. 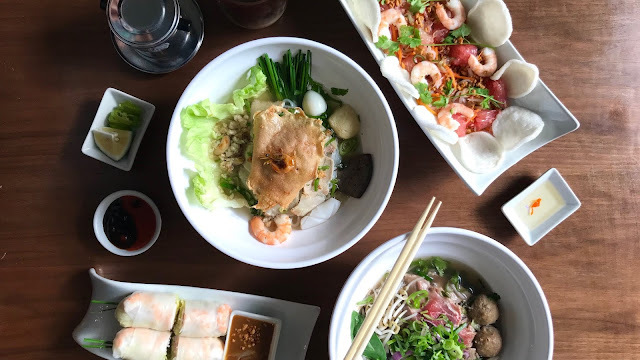 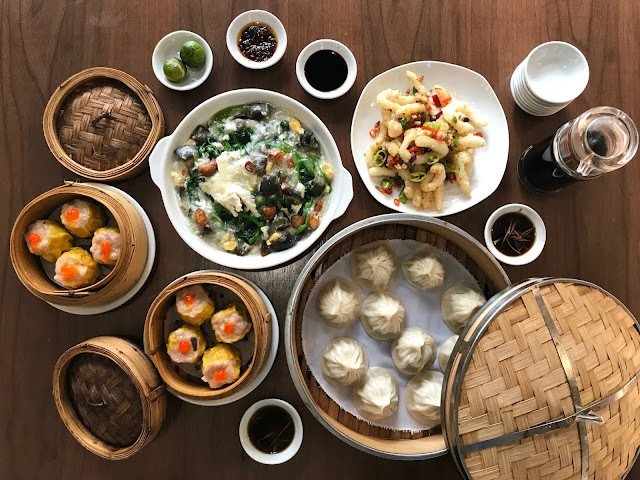 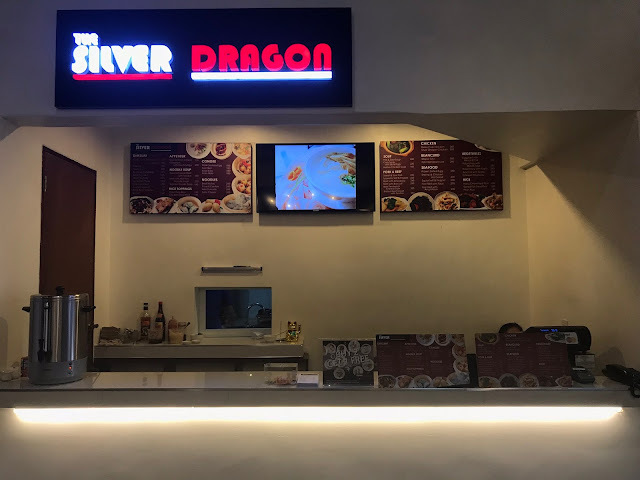 The Silver Dragon specializes in serving Chinese dishes such as dimsum, congee, noodle soups, and other favorite mains you like having from a Chinese restaurant. Unlike the other food concepts in Courtyard 453, Tra Vinh is a more familiar brand since it currently has other branches in Metro Manila. They are famous for Vietnamese dishes like pho and ban mi. They also serve Vietnamese coffee and salad, among others. 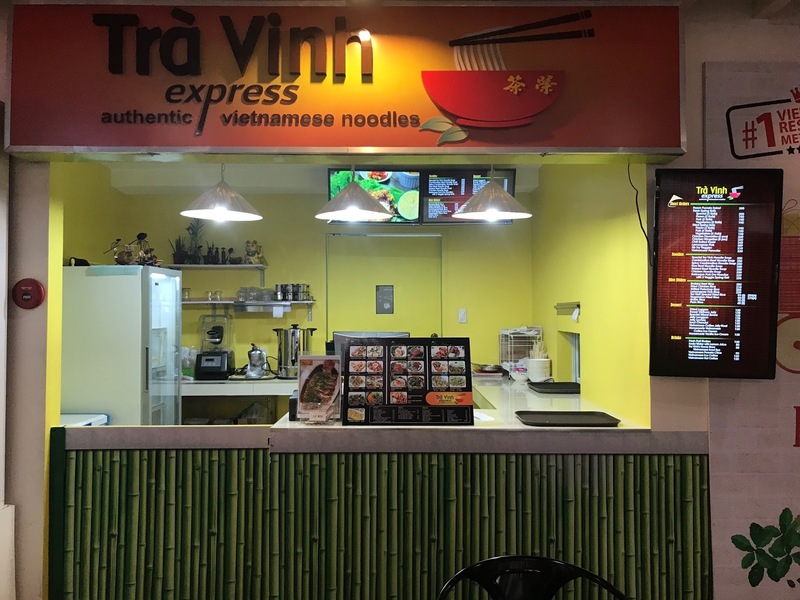 Like Tra Vinh, this is also not Ebi10's first location (although I have not heard of them prior to this visit). 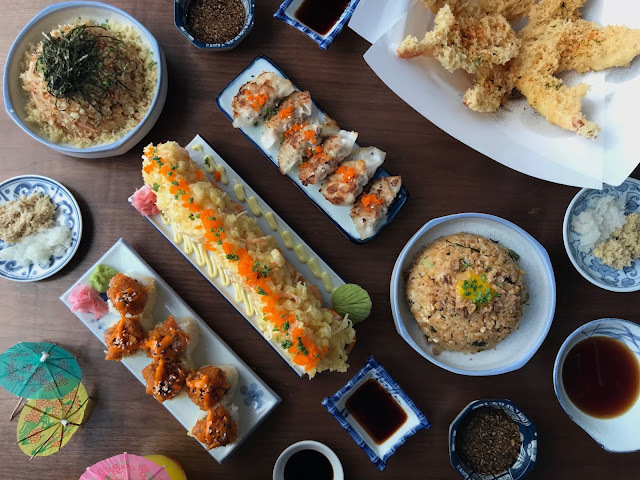 They offer sumptuous Japanese dishes like makis and chahan rice, but the most notable of all is their tempura basket. LIF, or Life is Fantastic, is where you can get your hand on Western cuisine, from burgers to pizzas, and even spam chips. Of course, what is a Filipino food courtyard without classic Filipino food? 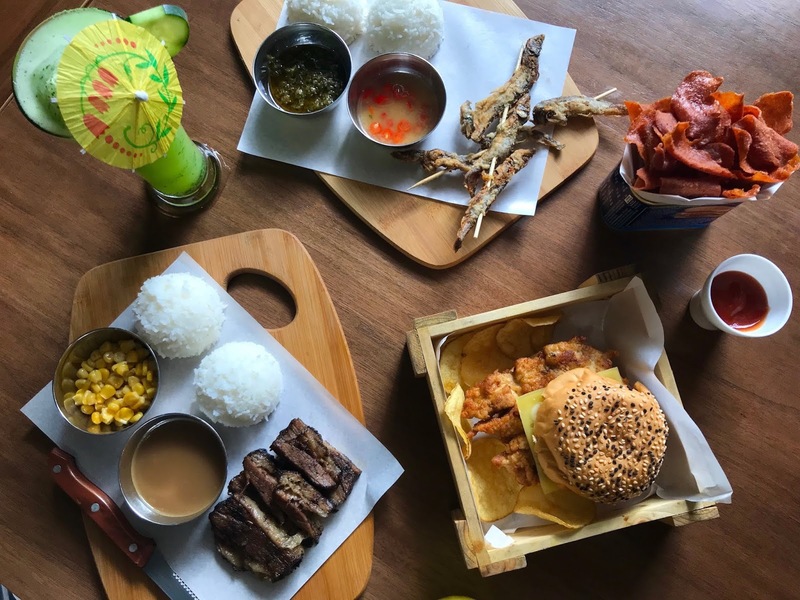 Pops n' Pebs is a father-daughter tandem that serves home style Filipino and Spanish cuisines. 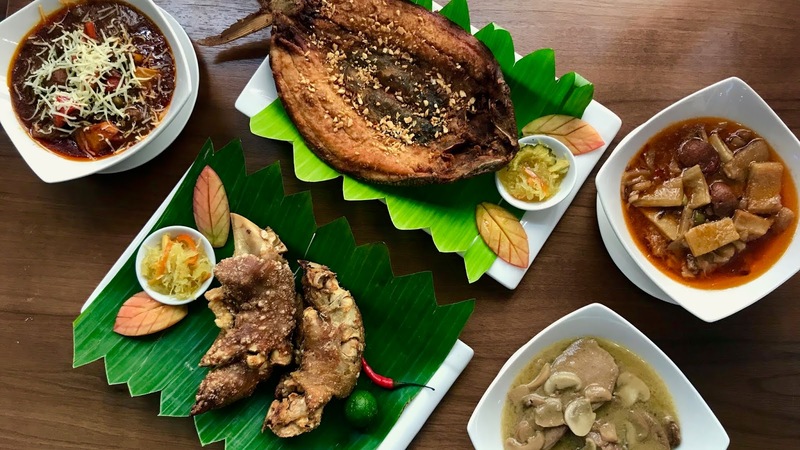 Their best sellers include the lechon tinupig manok, kare-kare oxtail, and lengue sevillana. There's also a beverage center located in the middle section of the food courtyard where you can order some fresh juices, milk teas, or shakes to quench that thirst. 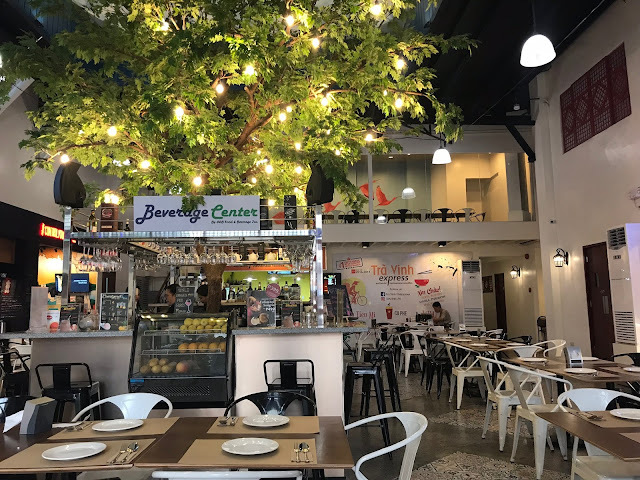 An intriguing one you can give a try is their mango graham shake. They also have a private function room you can use with no additional costs. The increasing number of food parks in the country gives customers more food choices, but not ones they will come back for. 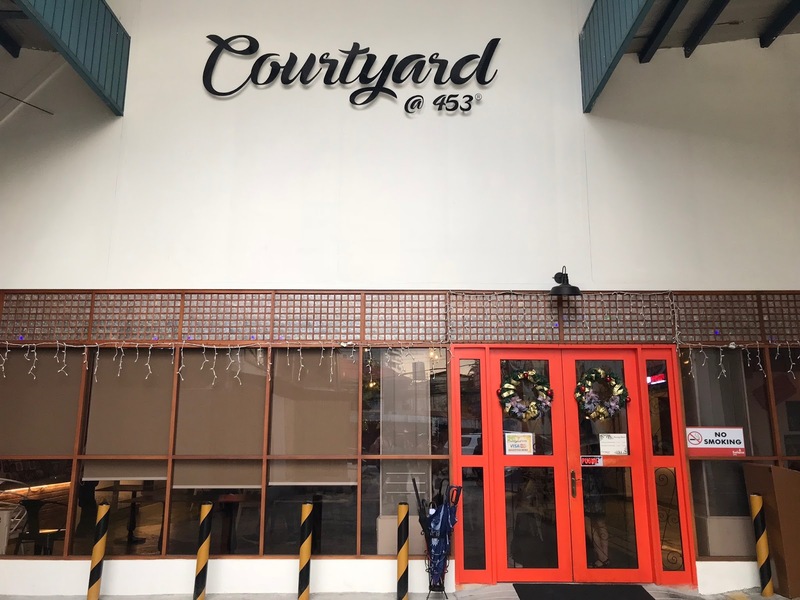 But Courtyard 453 is different. 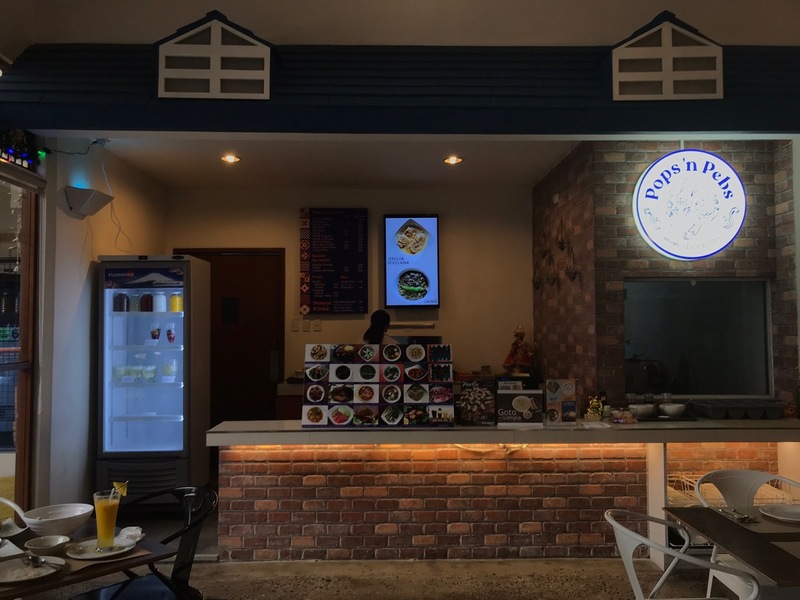 They give customers delicious, quality food choices in a pleasing environment, and a friendly service that perfects a simple yet delightful dining experience. 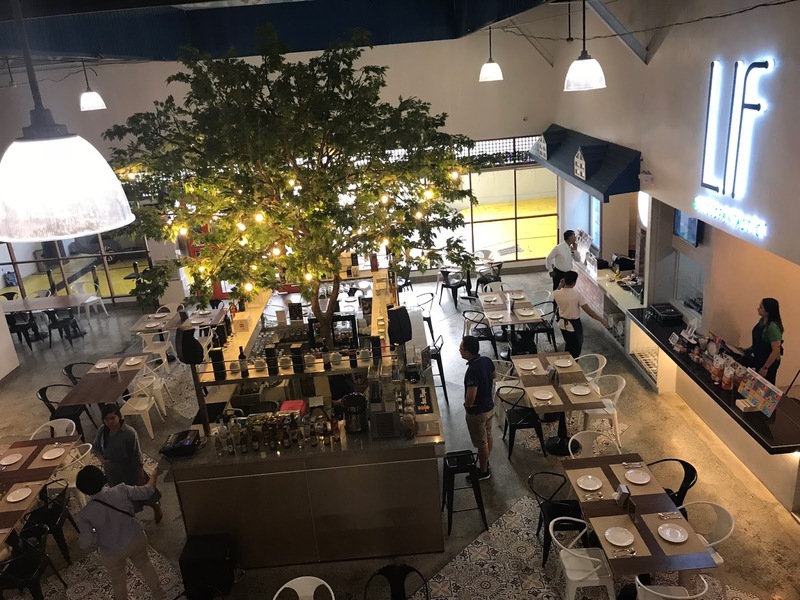 P.S.I will be making a separate review for each of the food concepts at Courtyard 453, so please watch out for that!